Entries are completed online using the NSW Business Chamber awards entry portal. The Shoalhaven Business Awards is the region’s most anticipated annual business event. Just by entering the Awards you are giving yourself the opportunity to review your business operations, reconnect with your vision and strategy, and measure performance against objectives. Many entrants see the Awards as a time for forced self-assessment, which helps keep them accountable to their goals. You are also giving yourself the opportunity to represent the Shoalhaven in the Illawarra Business Awards, and as we have seen in the past, the State Awards (if you enter an aligned category). Fiday night, at the Shoalhaven Entertainment Centre, 19 awards were presented to local organisations and individuals along with 3 Highly Commended’s. The Awards honour the region’s finest businesses, and individuals within the Shoalhaven. Guests, included government dignitaries, business owners, their employees and families. Our Awards sponsors play an essential role in making the Awards possible. Find out more about our fantastic sponsors here! If you are interested in sponsoring the Awards, please contact Julia O’Keefe, Awards Manager on 0438 287 578 or email awards@shoalhavenbusiness.com.au. 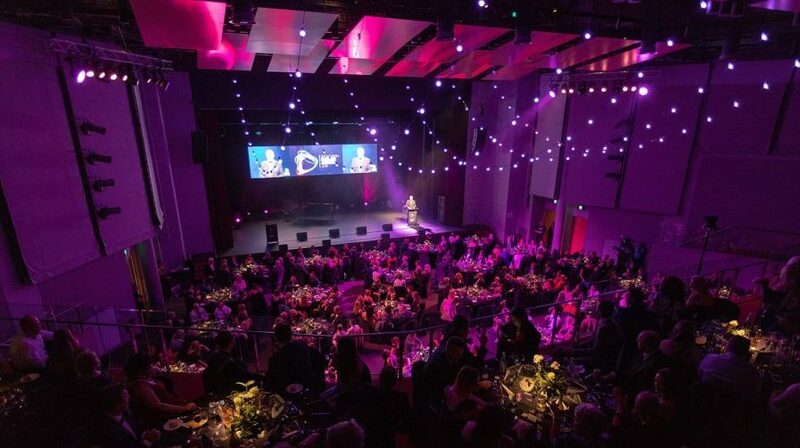 The Awards Gala evening was held on Friday 31st August at the Shoalhaven Entertainment Centre. The pinnacle of the business year, the evening provided unrivaled networking opportunities, the chance to share remarkable stories, and ongoing brand exposure to the entire region. The theme for this year’s awards was ‘Connect’, we wanted to run the theme throughout the whole event. Whether it was the entertainment that you heard, the flowers that you saw, the drinks that you drank or the cheese that you ate, we were all about sourcing and celebrating local! With a ‘less is more’ approach, the room looked stunning. With the aim of creating a more intimate setting in such a large space, CMG Audio Visual really upped the anti again this year. The beautiful flowers, by sponsor Pia + Jade, added a sense of elegance and calmness to the room. The 2018 Shoalhaven Business Awards finalists have been selected! A huge congratulations to the businesses and individuals who have been selected as finalists. Our past Awards winners are often our best advocates for the Awards. So this year we have selected two of our past winners, and regular supporters of the Awards, and asked them to become our official Awards Ambassadors. Sian Ludlow, 2017 Young Entrepreneur Winner, and Garry Wilbraham, 2007 & 2017 Business Leader Winner, are passionate and outspoken about the plethora of benefits that entering the Awards brings to your business. Entries are completed online using the NSW Business Chamber awards entry portal. The portal makes the entry, judging and management process efficient, and levels the playing field for entries. Learn more about how to use the portal here. Read more on how to enter the 2018 Shoalhaven Business Awards with our Awards Entry Pack by clicking the link below. A practical and hands on style workshop, participants will have the opportunity to work on their submission and get immediate feedback from past judges. Places are limited so please register your interest to secure your place at the workshop. 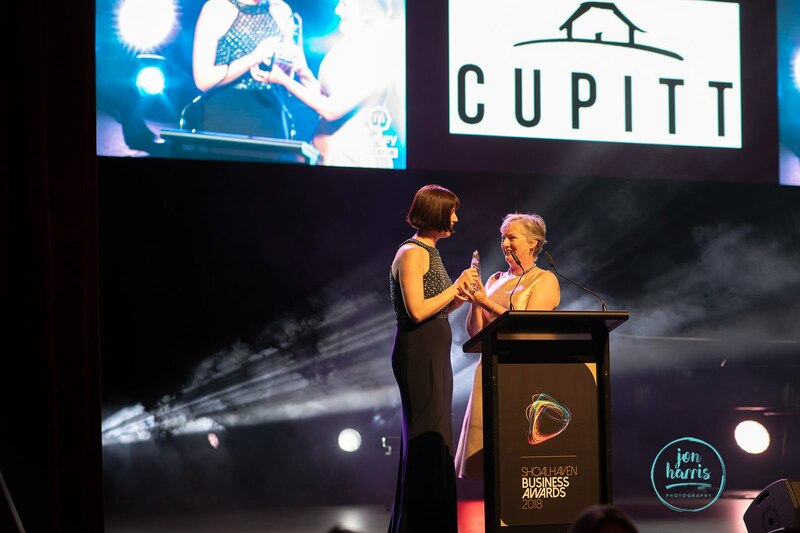 Craft a standout business awards entry with practical tips from our guests who have won, judged or supported a range of business awards programs in Australia. Available for download in iTunes, our show is sponsored by TAFE NSW. It is hosted by multi award winning business owner, MC and radio host, Chance Hanlon, and 2017 Awards Manager, Miranda Packer, and produced locally in the HEV Studio. Check out our guests and discover our exciting podcast competition.